264 pages | 13 B/W Illus. Identity is one of the most theorised and contested of all sociological concepts and sport is fertile ground for an examination of its complexities. This book offers a wide-ranging and up-to-date exploration of the sport-identity nexus, drawing examples from a variety of sporting contexts and geographical locations, and incorporating a diversity of perspectives including players, spectators, officials, the media and policy-makers. Covering key themes in the social scientific study of sport such as gender, ethnicity and national identity, it considers the impact of social, cultural and technological change on the formation of sporting identities. Including original real-life case studies, each chapter makes a unique contribution to our understanding of the complex relationship between sport and identity. As this relationship is embedded within the broader structures of power that frame social inequality, this book also poses important questions about the role of sport-related initiatives in our society today, as well as in years to come. 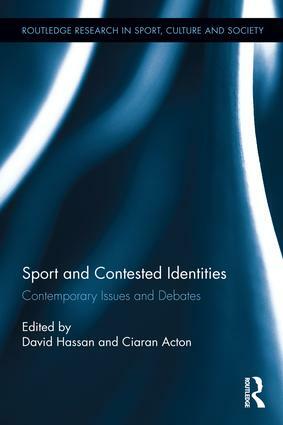 Sport and Contested Identities: Contemporary Issues and Debates is fascinating reading for all students and scholars of the sociology of sport. David Hassan is Associate Dean of the Faculty of Life and Health Sciences and Professor of Sport Policy and Management at Ulster University in Northern Ireland, UK. He has published 13 books and over 170 other publications, many examining the evolution and development of sport in Ireland and Britain.